Known as the 'City of Baths', Budapest really is a top spot for thermal getaways. It sits on top of almost 125 hot springs, so there are plenty of choices for visitors looking for a relaxing time. 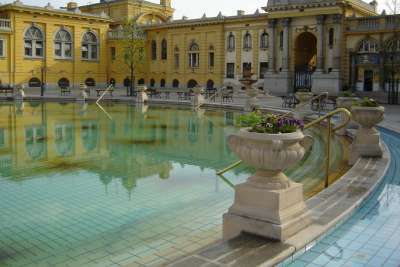 The Széchenyi Baths are probably the most famous of all in the Hungarian capital, with 15 thermal and three swimming pools. These hot springs are a bit out of the centre, but there are others a little nearer for those wanting to stay closer to the action. 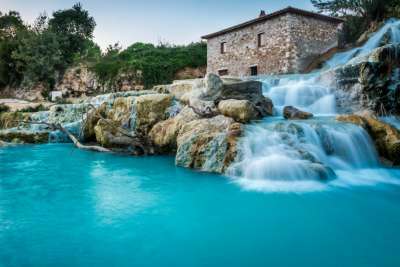 With the highest number of hot springs in the whole of Italy, a visit to Tuscany should be high up on your list. After all that exploring through the cities of Florence, Pisa and Siena, a soak in a thermal bath sounds just great to us. Head to Saturnia, the most well-known of them all, and embrace the dramatic landscape surrounding you. With valleys, olive groves and plenty of vines everywhere you look, it really is a beautiful way to spend an afternoon. Home to stunning beaches, lush green rice paddies and some pretty impressive temples, Bali really is a dream holiday destination. Throw in some secret thermal spots and you've got pure and utter paradise! Bali's hot springs remain relatively unknown to many, so now truly is the best time to head over and take a dip before the crowds come in. 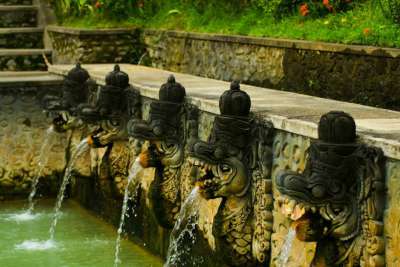 Choose your favourite and let the water soothe, cure and ease away all your aches and pains, true Balinese style. It just wouldn't be a true thermal waters hot spots list without Iceland now would it? 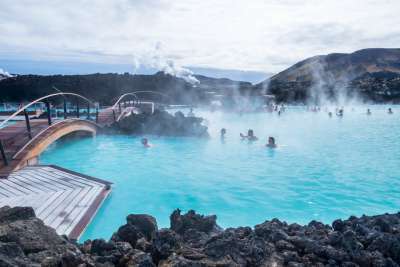 Most will think of the Blue Lagoon Geothermal Spa when initially thinking of Iceland. However, there are many more hot springs dotted across the country for you to experience during your stay. There's a beach in Reykjavík with two hot tubs bubbling away at 38ºC, a bathing spot in the Landmannalaugar mountains, and a small pool lined with lava rocks in Hekla, to name just a few! Here's an option a little closer to home. 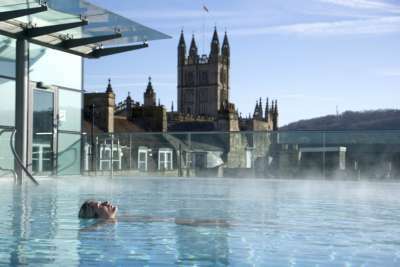 A popular choice for those wanting a relaxing break, Bath is the UK's best thermal spot. Explore the ancient Roman baths and soak up the sights of this wonderful city around you. However, if you want to take a dip in the warm waters than you'll need to head to the famous Thermae Bath Spa. With an open-air thermal pool rich with mineral waters, you can float around enjoying some of the best views the UK has to offer. 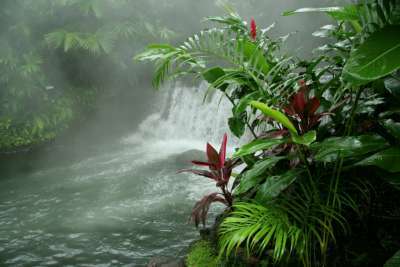 For those looking for a more exotic location to bathe in, then Costa Rica is probably the place for you! Home to five active volcanoes, volcanic hot springs are a very popular attraction for many guests. Although thermal waters are dotted all around Costa Rica, the majority lie in the Fortuna district, due to Arenal Volcano. Take a dip in these warming waters and enjoy the lush jungle views surrounding you. Pamukkale, which means 'cotton castle' in Turkish, really is something special. 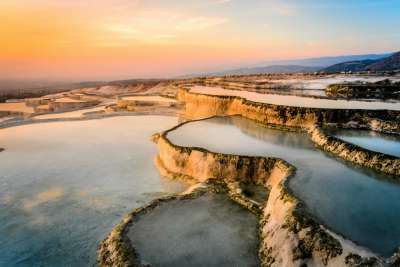 With white terraces and thermal pools hanging one over each other, forming a stairway of brilliant beauty, it's no wonder that this is one of Turkey's most famous attractions. Like with all popular places though, it can get rather busy. Heading to this spectacle as early as possible will ensure you have some time to unwind in the hot waters before the crowds arrive. 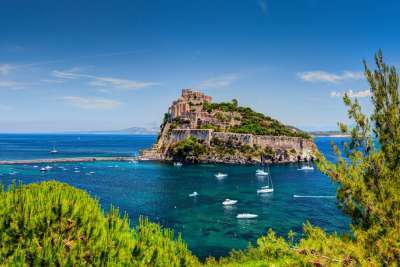 Famous for its thermal parks, natural springs, wellness centres and volcanic face masks, the Italian island of Ischia is nothing short of pure and utter luxury. There are several thermal parks that you can visit during your stay here, but if you're looking for a free option then head to Sorgeto. Here you can relax in the hot bubbling waters all year round. You can also use the volcanic mud around you to make your very own beauty mask. Bliss! As well as being full of truly beautiful architecture, the Andalusia region of Spain is also home to a great deal of hot springs for visitors to take a dip in during their stay. Granada in particular has some pretty impressive thermal waters on offer, with the Alhama de Granada thermal baths being the most impressive of them all. 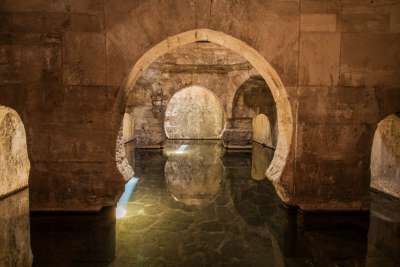 With temperatures reaching over 40°C, the mineral rich, thermal waters were a favourite with the Romans. And if they were good enough for them, they're good enough for us! Bathing in warm waters whilst looking up at the stunning, snowy Rocky Mountain range sounds like a dream, doesn't it? Well in Banff that dream can become a reality. For anyone travelling to Canada, the Banff Upper Hot Springs should be high on your list of places to visit. Soak in the steamy hot mineral waters whilst taking in the views of the famous Rockies. 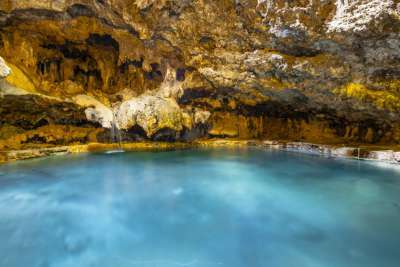 As well as this spot, there is also a cave you can visit with nine sulphurous hot springs for you to relax and float around in.